To learn more about Allianz Retire+ and the first of our retirement solutions, Future Safe, register below for one or more of our 30-minute webinars. Select a topic and register for sessions. 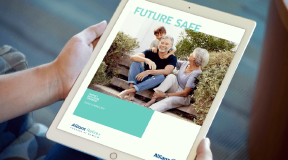 In this session, we will introduce Allianz Retire+ and our first retirement solution called Future Safe. In this session we will go through an overview of Future Safe, how the product is treated from a social security perspective & analyse some case studies on tax treatment for different clients. 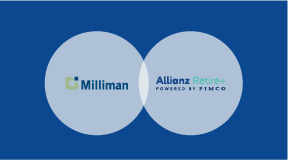 In this session we will go through an overview of Future Safe, analyse the impact of sequencing risk on a portfolio, identify behavioural finance issues driving decisions made by retirees & reveal the findings of our portfolio analysis with Milliman. 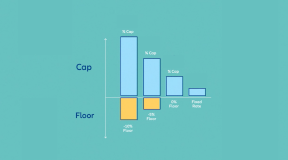 In this session we will go through an overview of Future Safe, look at how caps will respond to changes in the economic environment and the hedging strategy employed to deliver the specific return profile for clients. Any information on this website does not take into account your objectives, financial situation or needs. For personal financial advice please speak to your financial adviser. Products will be issued by Allianz Australia Life Insurance Limited, ABN 27 076 033 782, AFSL 296559. PIMCO Australia Pty Ltd, ABN 54 084 280 508, AFSL 246862, provides investment management and other support services to Allianz Australia Life Insurance Limited. Allianz Retire+ is the business name of Allianz Australia Life Insurance Limited. 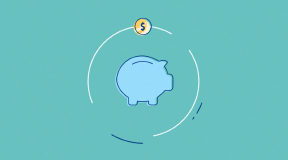 By using this website you agree to access this Financial Services Guide. Copyright © 2019 Allianz Australia Life Insurance Limited.